Myth Buster: Do You Really Need a Full-Time CFO? 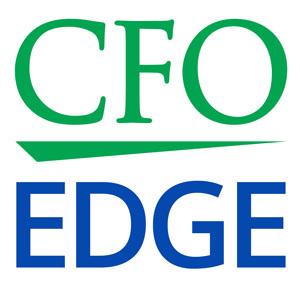 Home > Blog > CFO Services > CFO Services FAQs > Myth Buster: Do You Really Need a Full-Time CFO? The chief financial officer (or CFO) is an important position at many mid-sized businesses. As a result, many Los Angeles and Southern California business owners and executives believe that they need a full-time CFO on their staff in order for their company to reach its full potential. Usually, however, this isn’t the case. There are several different ways to “skin the CFO cat,” so to speak, and hiring a full-time staff CFO is just one of them. A more cost-efficient alternative for many small and mid-sized businesses with annual revenue under $100 million is to engage an outsourced CFO services professional on a part-time basis. By partnering an outsourced CFO with your full-time controller, your company can reap the benefits of high-level, strategic financial and operational expertise — without absorbing the cost (a high salary, benefits and other overhead) of hiring a full-time CFO. Outsourced CFO professionals can work with businesses in several different capacities: on an interim basis while the business is between full-time CFOs, on a project basis to work on a pre-defined and specific financial assignment, and on a part-time basis to provide the business with strategic expertise. Unlike the first two scenarios, the third scenario usually represents an ongoing engagement and relationship between the company and the outsourced CFO. At many small and mid-sized firms, the financial and accounting staff is so busy providing the CEO and management with historic and other critical data that they don’t have time to delve into higher-level data or think about strategic financial planning. But this kind of planning is important, especially for companies that want to grow to the next level. Unfortunately, these companies are often caught in a Catch-22 situation: To grow, they need the high-level strategic planning expertise that only a seasoned CFO can bring. But they often don’t have the financial resources necessary to hire a full-time CFO. An experienced and seasoned CFO usually commands a salary well into the six figures, as well as a generous benefits package and perhaps even an equity stake in the company. A mid-sized business is growing steadily, but realizes that not having access to a CFO’s level of financial expertise is holding the company back from reaching its full potential. It realizes that its financial staff is operational, but not strategic, and it needs some high-level strategic planning insight and direction in order to reach the next level. The owner is also concerned that the financial staff and key managers suffer from “tunnel vision” and wants to bring in an objective outsider who can offer a fresh perspective on business and financial challenges and opportunities. The business decides to hire an outsourced CFO on a part-time basis to work closely with the controller and financial staff for one week out of each month. The outsourced CFO will provide strategic planning, strategic thinking and other high-level support, while the controller is responsible for implementing the financial and operational strategic plan and actions and running the numbers and other day-to-day financial activities. The takeaway: The business receives the high-level, strategic expertise it needs to reach the next level of growth and profitability — at a fraction of the cost of hiring a full-time CFO. As you consider whether hiring an outsourced CFO on a part-time basis makes sense for your company, also think about the lost opportunity costs of not having access to the kind of strategic planning that an outsourced CFO services provider can offer. It’s hard to put a price tag on the lost opportunity costs of failing to plan strategically, but few would question that they exist. If you can’t recall the last time that you sat down with your key financial and accounting managers to talk strategically about your company’s future direction, then there’s a good chance that this lack of strategic planning is costing your business. While the CFO position is an important one at many businesses, most mid-sized companies don’t need a full-time CFO on their staff. A more cost-efficient alternative is to engage an outsourced CFO services professional on a part-time basis. By partnering an outsourced CFO with your full-time controller, your company can reap the benefits of strategic expertise without absorbing the cost of hiring a full-time CFO. Your business will receive the high-level expertise it needs to reach the next level of growth and profitability at a fraction of the cost of hiring a full-time CFO. Explore business drivers needing resolution when deciding on hiring a first full-time CFO or controller. Also reviewed are solution options including the non-traditional option of bringing in a part-time CFO.